I am on a field trip with my youngest daughter’s class. There is nothing quite like being on a bus with a group of giggly 7-year-olds. We started our adventure at 6:30 a.m., which is a little early for this mama. I had to “arise while it was yet night” in order to get my bible study and prayer time accomplished before I left. During my prayers, I asked God to give me patience and joy for this day, as I knew I would need it. I have found myself being a little hard on my daughter lately. I have been frustrated by her inability to follow directions, her adeptness at tattling, and her ability to lose vital things such as homework and shoes. I have lost my patience more than once recently, and you might say she and I have been in a battle of wills. This little girl really knows how to push my buttons! But today is a new day…a beautiful new day that the Lord has made. It is my choice to rejoice and be glad in it. It is my choice to let the frustrations of the last few days roll off my heart and embrace this opportunity to spend the day with my princess, enjoying a wonderful experience that will create a lifetime of memories. One day all too soon my little girl will be grown. She will move on to her own life with her own family. I will look back on this time in our lives and remember. I doubt I will remember the lost shoes, the messy room, the missing homework, or the tattling. Most likely I will remember her precious hugs, sweet kisses, beautiful smile, and adorable laughter. I will reflect on her kindness to others, her bubbly personality, her sassy walk, and her flair for fashion. Most definitely, I will remember her innocence and her unquestionable love for Jesus. 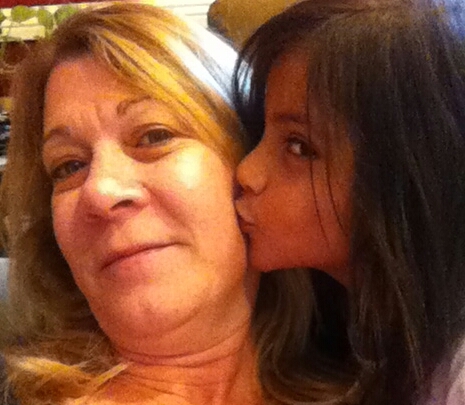 This entry was posted in Parenting and tagged love, parenting, patience.